Monday morning comes as rough as it can, you stop for a coffee on the way to work, let's face it you'll need it. Your agenda for the day is clear: start the data center project to optimize workloads and accelerate some processes that are essential for your business. You get to your desk...emails flowing. Users don't have internet, your network collapsed and nobody can access emails or files. Just like that your whole morning and possibly part of the week will be spent fixing a "daily" issue. That datacenter project will have to wait... yet again. Yes, you do need help to free up your time from reactive nightmares and spend more doing the things that will make the boss of your boss love you. 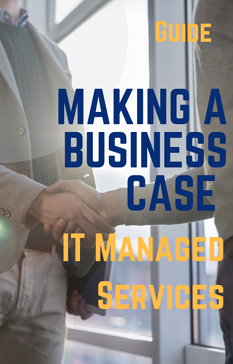 So how do you build a business case for IT Managed services and where to start? Let's start by the basics. When Making a business case for IT Managed Services, a company needs to consider all the implications this will have as it is a model in which you offload your IT operations to a Managed Service Provider (MSP) who is now responsible of managing and monitoring your IT environment. The degree of this service varies depending on what your specific needs are, but in essence it will include managing the operation of your network, systems and collaboration technologies. What are the Business Benefits of Managed Services? You mean apart from taking away the headache of putting fires down? Well, a managed service provider will become an extension of your team. It will be an extra set of hands with years of expertise taking care of your immediate needs so you can think of the future. 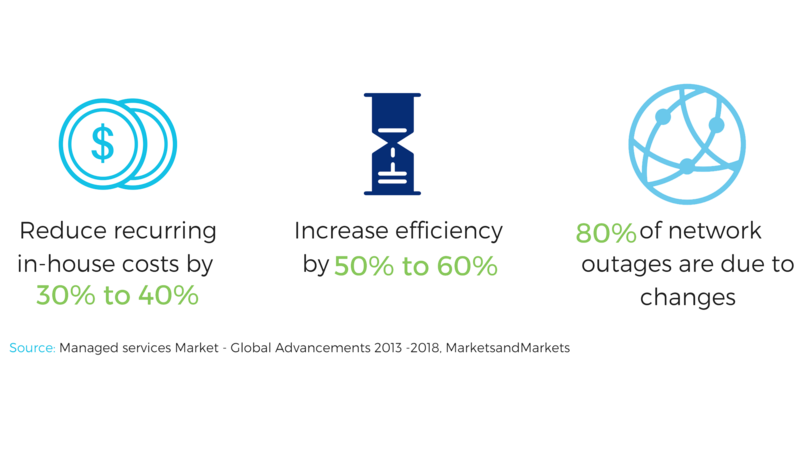 In fact, research has shown that businesses that rely on an MSP have been able to reduce cost and re-allocate budget and resources to strategic projects, increasing efficiency and innovation. Remember that off-network nightmare I mention, which is likely to be a part of your week? Where is all part of those projects and initiatives that you are trying to implement that can be disruptive of your network, and you don't know it until is too late. With an MSP you can count on "vigilante" eyes on your network that will alert you of possible disruptions as a result of all those little experiments you like to run and that can cause a network outage. Now, from an operational perspective these benefits will be perceived almost instantly. According to Gartner in their Business Value Model research, a high percentage of organizations that work with an MSP also experienced a lower Total Cost of Ownership (TCO) as they are no longer investing in management, control and monitoring platforms leveraging the tools provided by their MSP. So there you have it, three clear and impactful business outcomes. Expand your IT knowledge and resource. Reallocate resources to focus on strategic business initiatives (innovation. Lower costs (TCO). Yes, everyone says is great but is it tho? The answer: YES! The degree to which you allow your MSP to support your operations depends entirely on your business needs. That's why is very important for you to find a partner with experience and a proven record of success that's able to listen to your needs. The services they delivered for X company won't necessarily fit yours. The real point here is not if managed services is right for you, but is that managed service provider the right one? Doing the conscious analysis of all the tasks you need help with, prioritize them and understanding how much it will cost you to do it yourself, is the first step to understand cost vs. value. From that point on, you begin the search for that MSP that will provide you with what your looking for, both in the short and long term. If that sounded like a marriage and the search for "The One" well... it is! The Managed Service Provider that you choose will become your best allied, an extension of your team that needs to share your vision. So yes, it is a BIG commitment. What to look for in a Managed Service Provider? Experience and transparency. Communication will be the core of building a strong and transparent relation between you and your MSP. It is also the way you can guarantee that your concerns are being addressed providing you a solution and an overall service that gives you a peace of mind. How many years of proven experience serving organization within your same industry? What technical certifications they hold and how robust is their engineering team? Do they have a multivendor approach to technology? What is their approach to managed services? You can read this check list and get more info. Listen, you already have a hard job! Being in charge of the IT infrastructure of a midsize and fast growing company like yours already provides multiple challenges and the last thing you need is to deal with a partner thats not doing a good job and to whom you rely the management of your IT operations. That will be your worst nightmare and we know it! A partner with a unique approach to managed services will provide the most transparent and trustworthy solution as it has a defined framework for services that can always be tailored to your specific needs but that has a proven track of success. 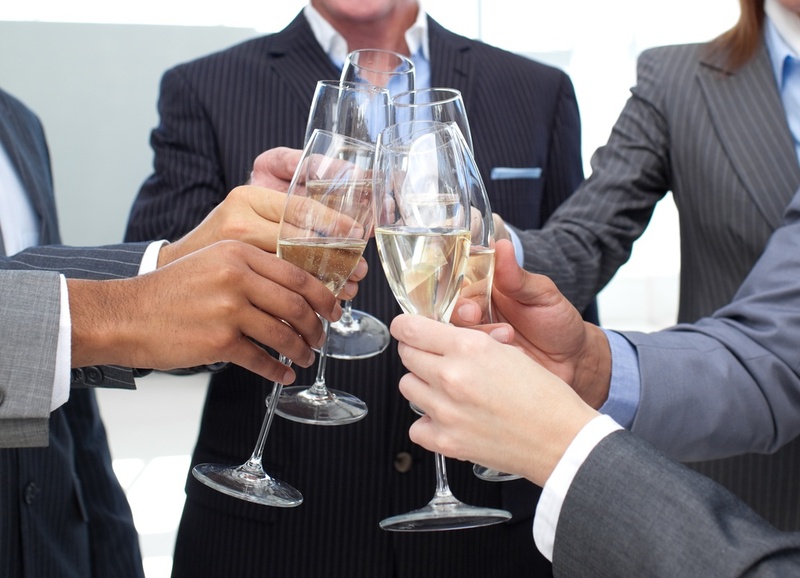 Oh, and just as great partners do, he'll be there to celebrate when the boss of your boss rewards you as a key team player in their strategic growth....cheers to you! Understand the specific of your business. What are all those IT operations that you need to offload? The costs associated with managing them in-house? The new strategic projects that you could now start? This gives you an overview of the costs vs. benefits and a set of skills you'll need your MSP to provide. 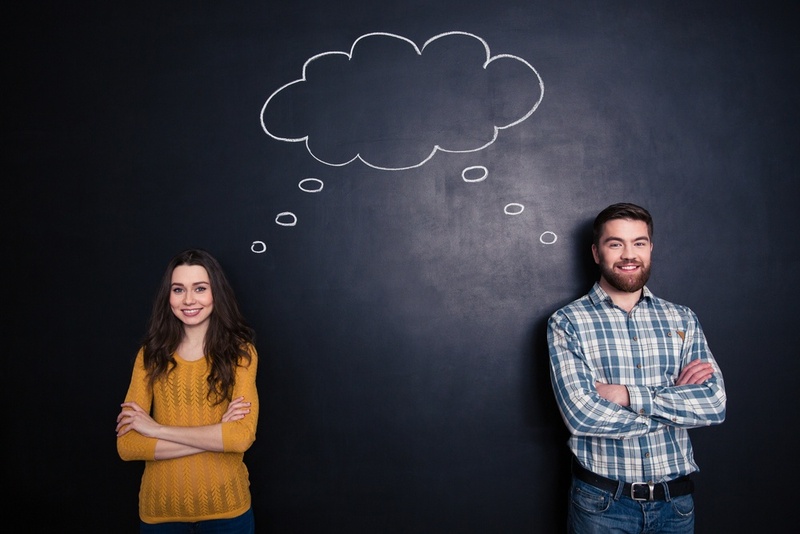 Have a checklist that allows you to evaluate your possible partners so you make sure that your concerns are being addressed and that they can provide you value beyond their monitoring services. Freeing up the time of your team will allow you to FOCUS on strategic initiatives that are core to your business growth while ensuring that all your daily operations are being overseen by a team of highly qualified engineers.